If you’re an adventurist or simply love nature, then national parks are probably your favorite travel destinations. Filled with remarkable nature and exhausting, but rewarding, hiking trails, they offer a truly unique experience. The United States is filled with amazing national parks, and today we have decided to show you the 17 most beautiful ones. Yosemite National Park, California – Thanks to the alluring nature that’s found here and Apple’s latest operating system for Macs, everybody around the world knows about Yosemite. 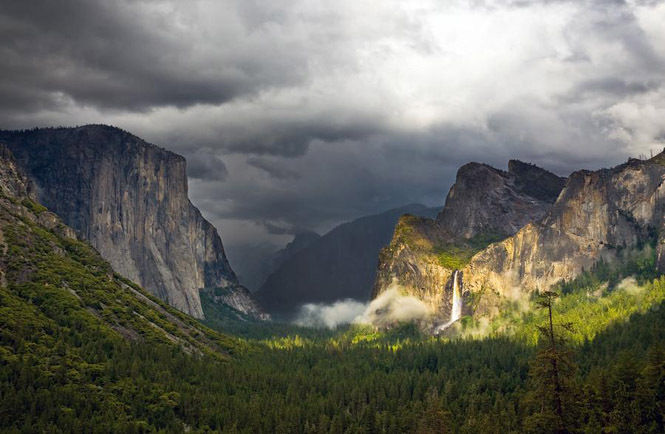 It is located in California, and features streams, waterfalls, granite cliffs, as well as giant sequoia groves. More than 3.7 million people visit this park annually.